Online Business Loans vs. Traditional Bank Loans: Which is Better for Your Small Business? Since the financial crisis of 2008, traditional banks have been cutting back on small business loans. As it became harder for small businesses to access bank loans, online loan providers sprung up to fill the need for credit and cash flow. But, which should you choose for your small business? We make a detailed comparison between the application process, speed, terms and requirements, security, reputation, and government backing for traditional bank loans and online business loans so that you can make the best decision for your small business' borrowing needs. Getting a loan from a traditional bank generally takes a long time. You'll need to visit your branch in person, provide a lot of documentation and wait while the bank considers your application. It can take several weeks for the capital to come through from a regular bank. Online loan providers are able to use financial technology (FinTech) to somewhat automate the process. With advanced algorithms and a more flexible approval process, some online loan aggregators such as LendingTree can get the money through to their borrowers within 48 hours. If a company is looking to borrow a large amount, banks are a better address than online loan providers. Banks are generally able to offer much larger maximum loan amounts than online providers – as long as your business is able to qualify for the loan, that is. Many online loan providers offer maximum loan amounts in only six digits, although both LendingTree and Lendio will lend over $1 million for certain loan types. It's not just about the maximum amount. Businesses often find it difficult to borrow small amounts from traditional banks, such as enough to cover extra merchandise for the holiday season. Online lenders have far greater flexibility to offer small loans of just a few hundred dollars. When it comes to the loan requirements, banks are far more stringent than online lenders. They generally ask applicants to prove several years of business operations, making it very difficult for newer businesses and startups to secure a line of credit or a vital small business loan to get things started. Small businesses that have only been in business for six months can find favorable terms with online providers including Lendio, Fundbox, and LendingTree, but would struggle to qualify for a bank loan. Another difference is that online providers are more willing to offer unsecured credit loans which banks try to avoid. Banks are traditionally averse to unsecured loans and usually insist on several figures worth of machinery, equipment, or real estate to anchor the loan. Banks also demand that businesses present much higher average annual revenue, while online loan aggregators like Kabbage or Fundbox can match you to lenders even with revenue at or below $5,000. Although it’s harder to qualify for a traditional bank business loan, the terms they offer to businesses which succeed are usually much more favorable than those available through online providers. Because they only take on established businesses which have a far lower risk of default, banks can offer lower interest rates, more flexible repayment schedules, and longer repayment periods than online lenders. In contrast, online lenders need to offset the risk that some of their borrowers will be unable to pay and that they don’t have any collateral against the loan. They tend to charge APR at higher rates and present shorter repayment terms. Small businesses applying for a bank loan are unlikely to get anywhere without near-perfect credit ratings, usually around 700-800. Thanks to the 2008 financial crisis, banks are very wary of accepting anything lower than that and will usually demand many years of successful business dealings and plenty of collateral in order to lend to businesses with lower credit ratings. However, online loan providers look at a number of other factors when assessing business reliability and are far more likely to overlook a poor credit rating. Many online loan marketplaces, including Kabbage, Fundbox, and Lendio, offer loans for small business with no minimum credit score. The application process for a traditional bank loan is long and often convoluted. One usually has to apply in person and defend his/her reasons for the loan to a bank manager. Banks require much more documentation than online lenders before they will consider your loan application, including business plans, collateral agreements that could go as high as 100% of the loan amount, and extremely unrealistic cash-flow projections. In contrast, small businesses can prequalify for a loan from an alternative lender in just a few minutes through a process which is entirely online. LendingTree and Lendio both present short application processes that take under five minutes to complete. Even online lenders do require some or all of the same documents as a bank before finalizing the loan. The major difference is that they have already pre-approved you through the earlier quick application process, so the time you spend collecting documentation is more likely to be rewarded with a loan. Essentially, this depends on which bank or provider you use, but traditional banks have an advantage here. Banks are regulated by an independent authority, which is not the case for online loan providers. There are online loan aggregators which are simply looking to deal with small businesses, so it's vital that companies do their research and look for reviews and ratings from bodies like the Better Business Bureau before leaping into a loan offer that is too good to be true. Security is traditionally high when you go through an established bank. As well as their own security requirements, banks are regulated by one or more federal or state regulatory bodies which demand certain security measures to protect the privacy of customers as well as the safety of their collateral and money. Online loan aggregators aren’t subject to the same requisites, which makes them potentially risky. Small businesses need to look for a TrustE or similar certificate that guarantees that the loan provider is compliant with security protocols, check that the loan provider uses a high level of encryption when storing sensitive details, and see that there is transparency about the way in which the company uses their data. Without these assurances, there is a risk that your business details and financial information could be traded or hacked without your knowledge. 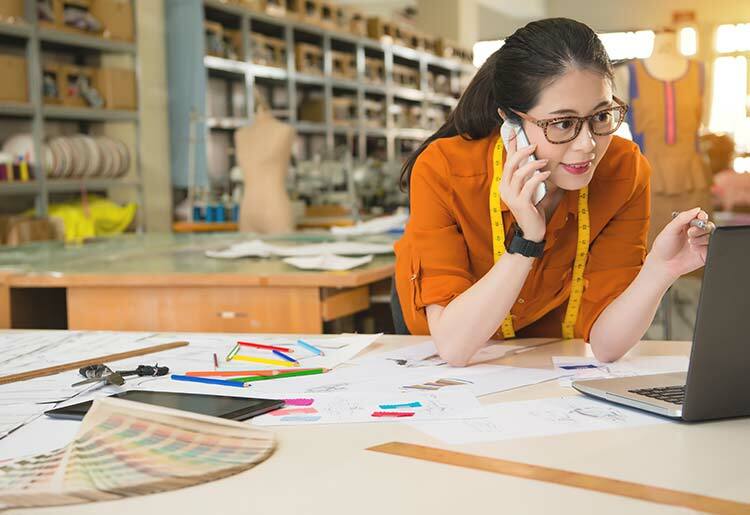 Small businesses that meet the requirements can qualify for a loan that is partially backed by the government’s Small Business Administration, which brings better loan terms and a higher rate of success in applying for loans. It’s usually easier to access SBA loans through a bank rather than online, but certain internet loan marketplaces including LendingTree and Lendio also offer SBA-assisted loans. Large established businesses with good credit scores that can wait through the long application and approval process can get better deals, lower rates, and larger loans from banks. They may also appreciate the greater security and government assistance available from traditional banks. But, newer businesses and startups as well as those which need extra capital as soon as possible, will find that the higher rates and lower maximum loan amounts offered by many online lenders, as detailed in our in-depth reviews, are outweighed by the advantages of getting their money quickly and being able to get a loan at all.